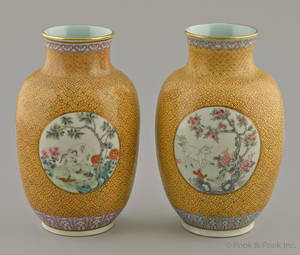 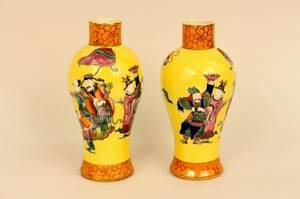 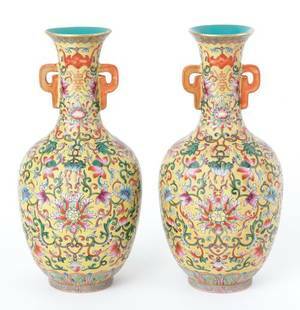 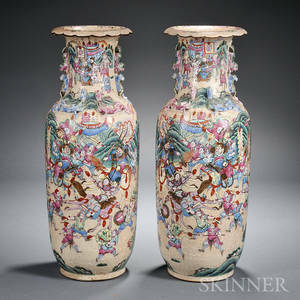 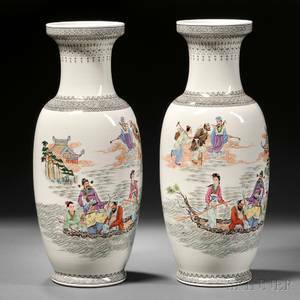 Two matching Oriental porcelain vases. 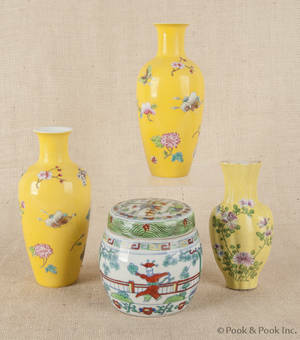 Each table vase with bright figural decoration on yellow ground. 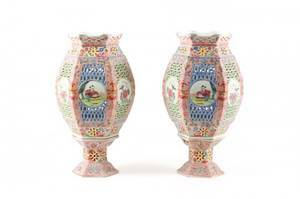 Top and bottom with orange banding with gilt floral tessarae accents. 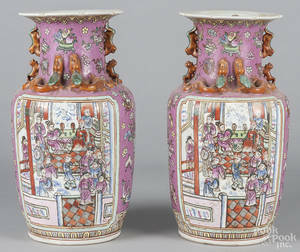 Marked in red characters on under glaze on bottom. 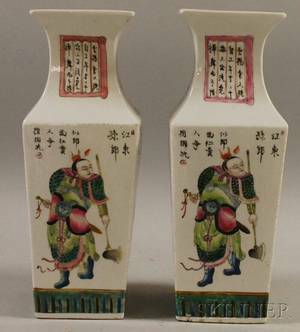 Height 9.25 inches. 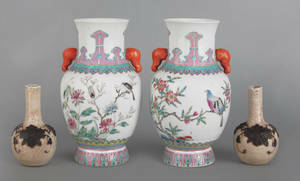 Diameter of opening at top 1.8 inches.